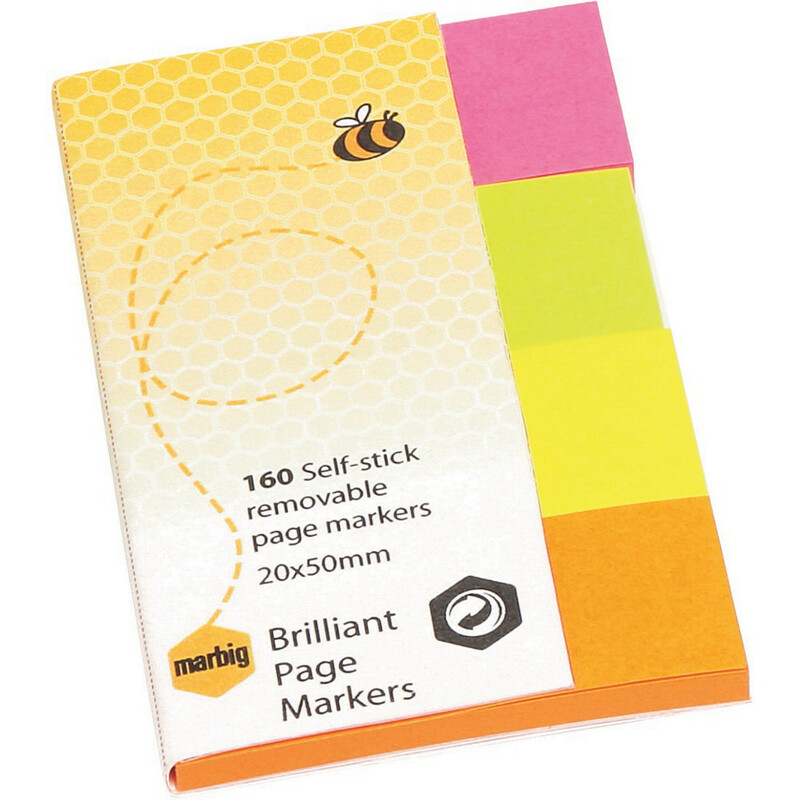 Quality self-stick repositionable page markers that re-stick again and again. Use as bookmarks to mark a spot in documents, reports, etc. Bright colour allows the marker to stand out in your document. Booklet of 160 (4 colours x 40 sheets).